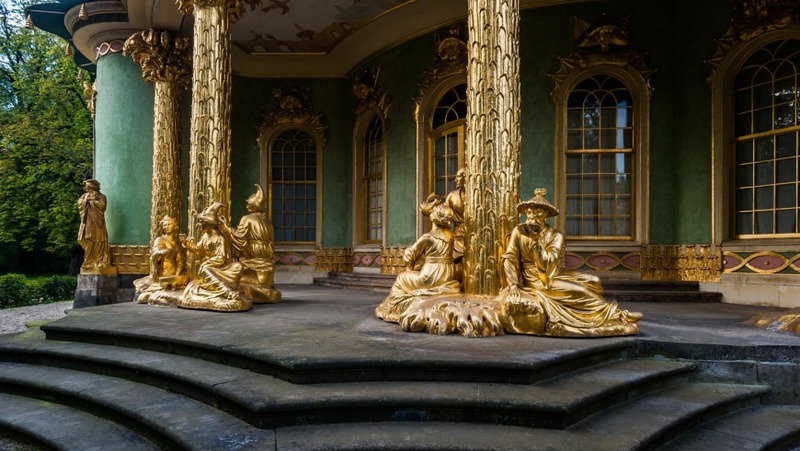 Built on a planum of a four-leaf clover, the Chinese Pavilion (Chinesisches Haus) of Sansouci Park, in Potsdam, not far from Berlin, was built in the Garden of the Deer (Rehgarten) between 1754 and 1764 by Johann Gottfried Büring. 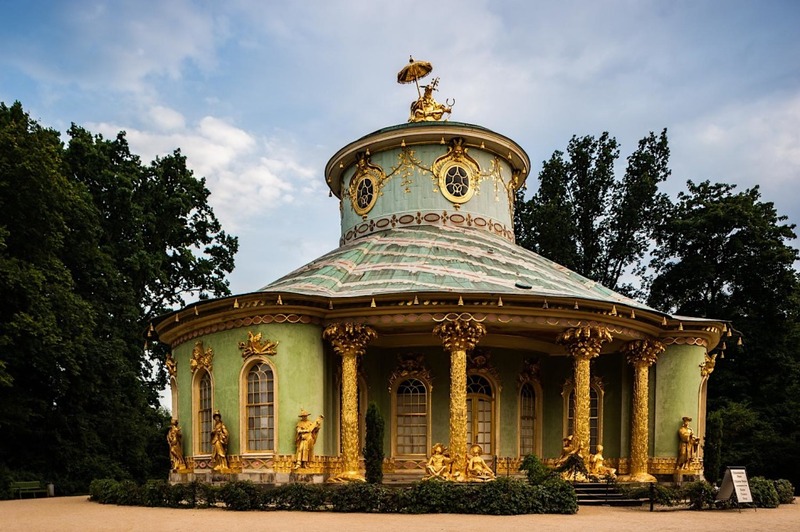 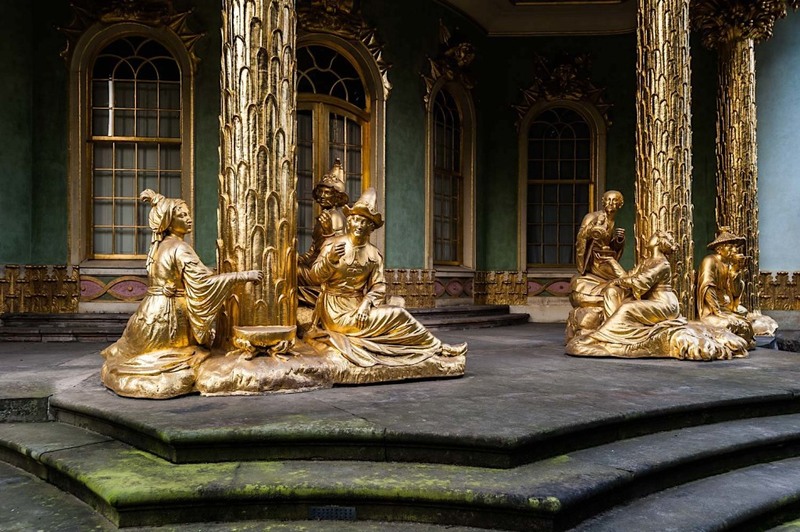 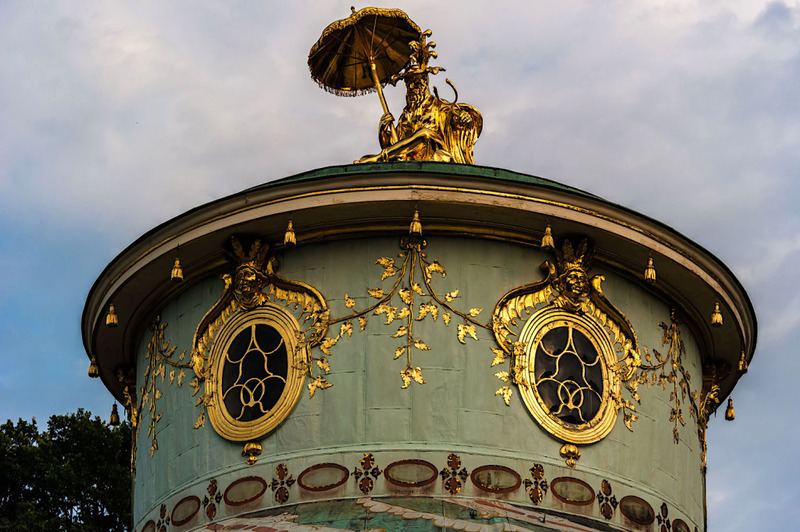 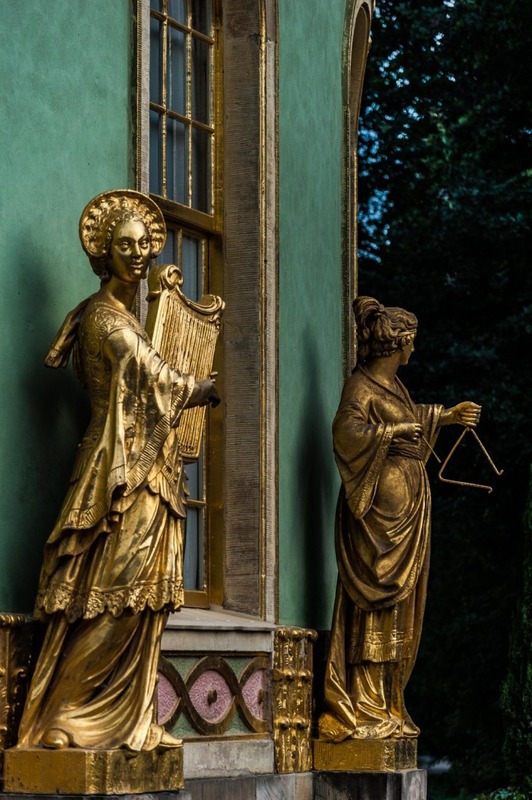 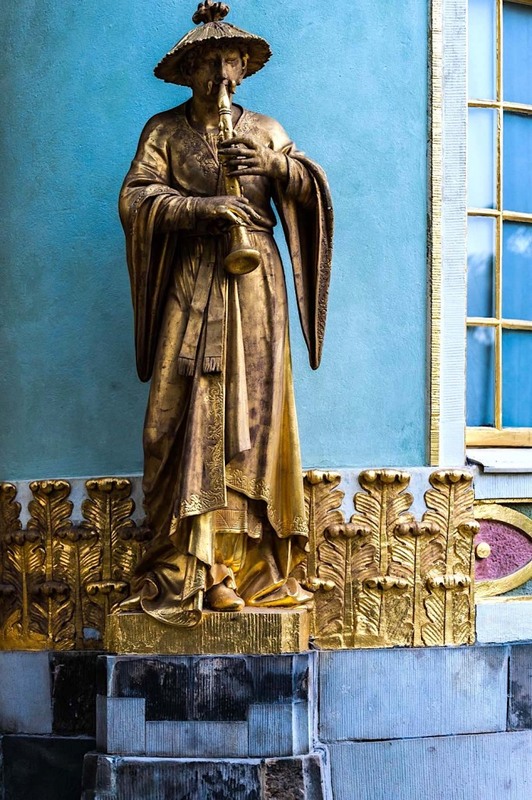 Frederick the Great of Prussia had wanted his tea house in that shape, following the fashion for the chinoiserie that distinguished the culture of the courts in all of Europe in the era of the rococò. 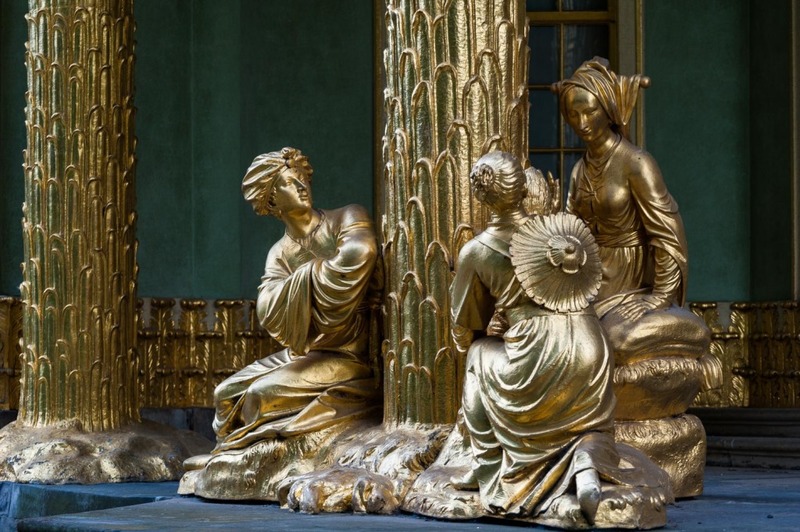 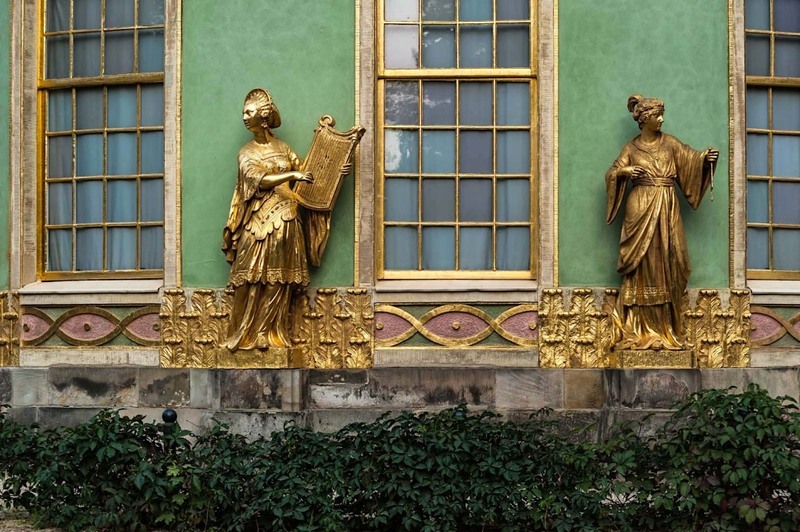 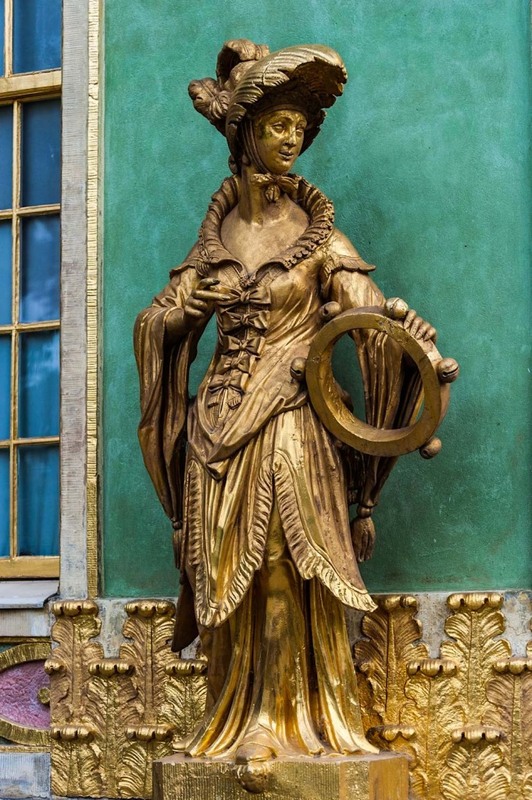 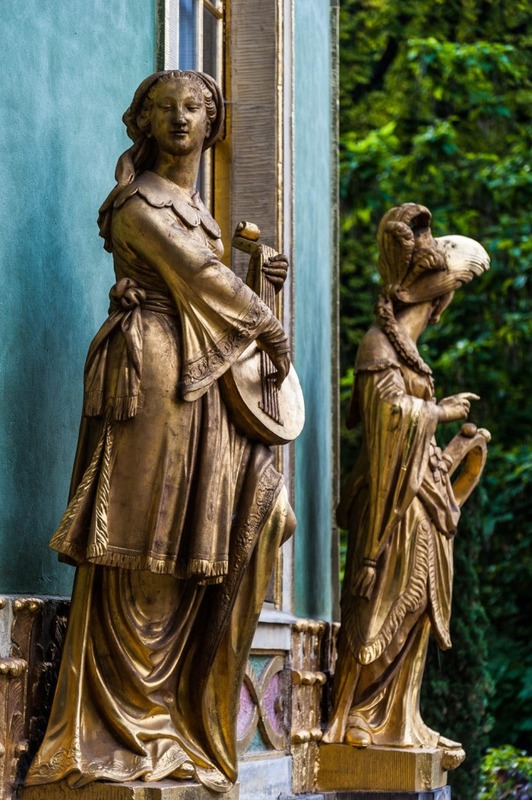 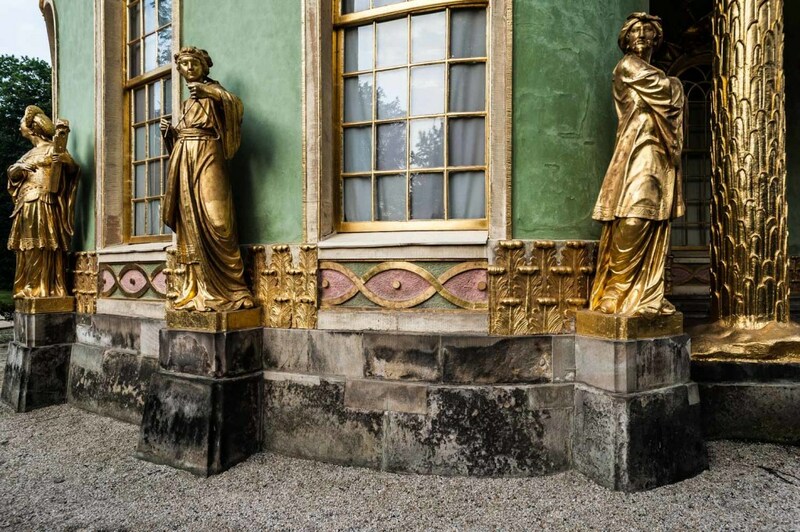 The exteriors of the pavilion is articulated by real size figures, gilded, arranged individually or in groups around the perimeter. 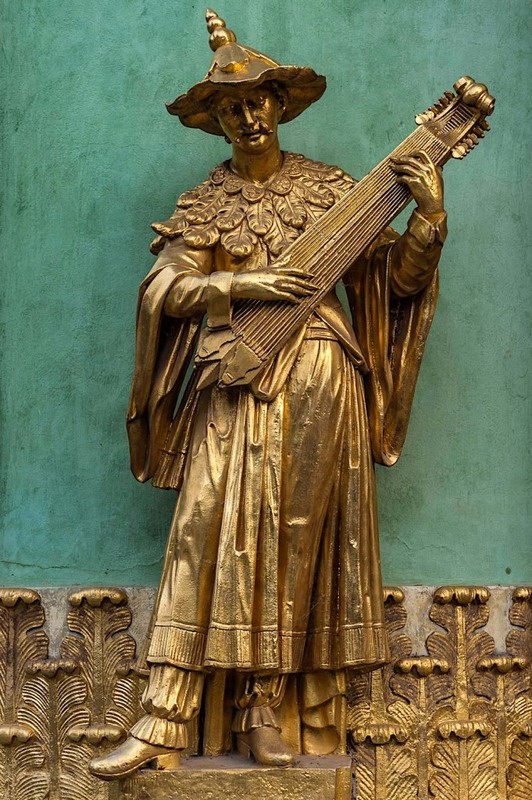 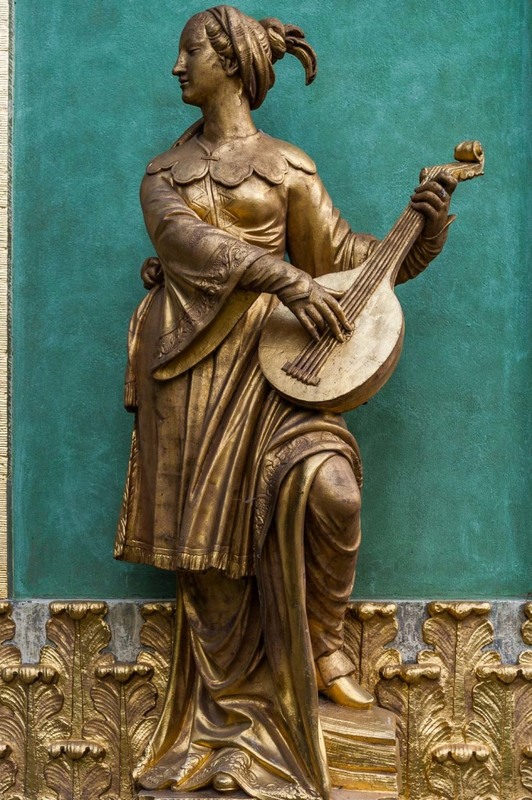 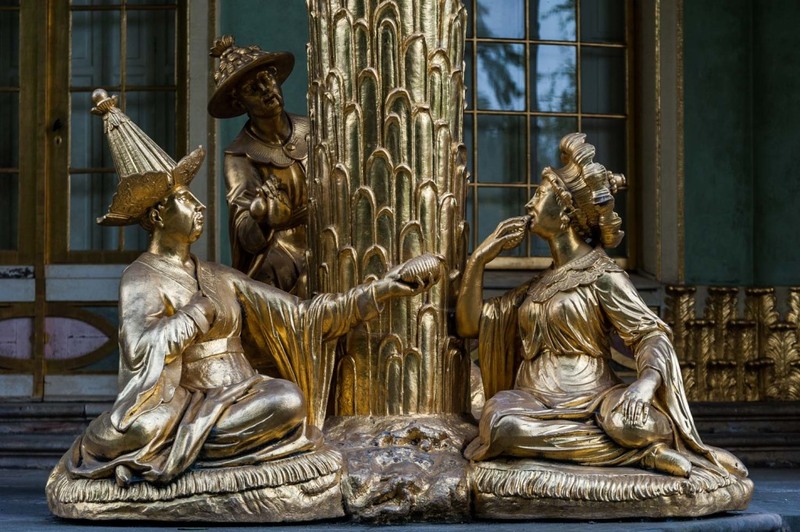 Dressed in oriental clothes, these figures represent musicians who play fantasy instruments and tea drinkers, who are also interested in exotic fruits, under palm-shaped columns. 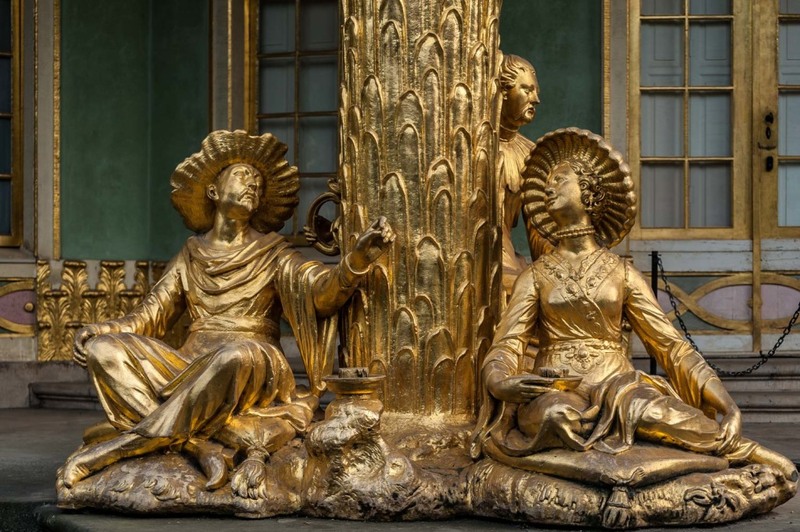 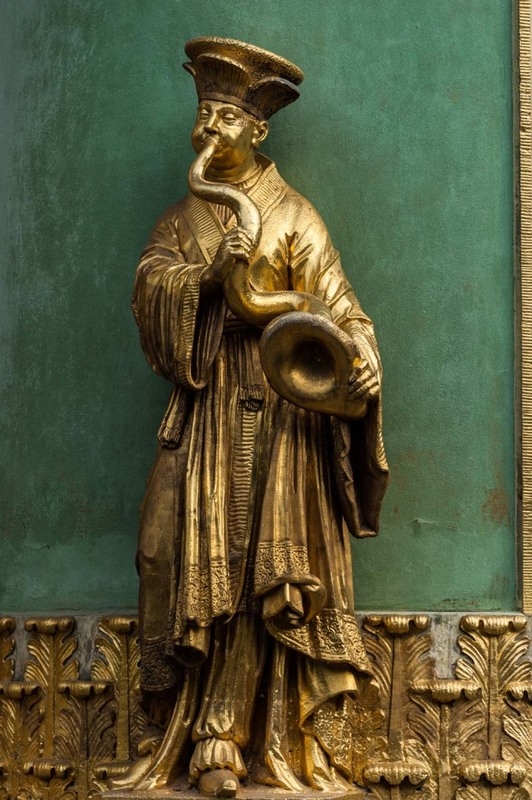 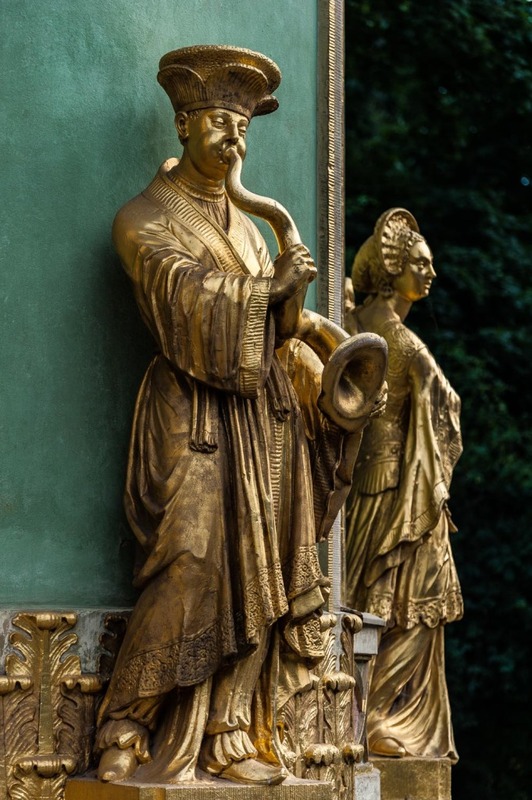 The creators of these decorative figures “à la chinoise” were Peter Benckert and Johann Gottlieb Heymüller.